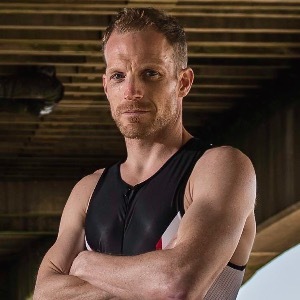 Phil's Novice IRONMAN 70.3 + Email Access to Coach. 06 Weeks (7-9 hrs/wk). Peak for your IRONMAN 70.3 with 7 to 9 hrs training per week! This plan is designed to bring you to peak fitness for your IRONMAN 70.3. Each week has 6 to 7 workouts, a strength session and a day off. An active recovery week, brick sessions and open water swims are included. To start this plan you should be able to swim 1800 m/yds, ride for 2:45 hrs and jog for 1:40 hrs. Guidance is provided for HR, Feel, Power or Pace and workouts are compatible with Garmin and many more devices. Please click to get your essential Guide to Strength & Conditioning. PDF, 599KB. Get off your bike and run. Do the first 15 minutes in Z3. Then ease down into Z2 for the remaining 60 minutes. This brick session is designed to simulate race day, including efforts at race pace with short recoveries. You will benefit both psychologically and physiologically from this ride. 7 x (10 mins in low to mid Z3 + 5 mins in Z2). Open water swim all in Z2. Take as many rests as you want. This first swim is just to get used to the environment. We'll do some faster sections from next week onwards, but just take it easy today. For all swims follow the distances in the Workout Description section. There is also yard/meter button you can toggle in the Workout Details section below. Swimming in open water in training will boost your confidence and technique.